Dancing on the Edge of Sanity | A site about postpartum depression, anxiety and OCD. A site about postpartum depression, anxiety and OCD. 1. Katherine Stone, founder of Postpartum Progress, might be an ordinary person after all, but she is leading an extraordinary movement. *For a comprehensive understanding of this amazing conference, read Jennifer’s Marshall’s post Warrior Mom Conference Re-Cap. People who don’t live in Blogland and don’t have an interest in maternal mental health, might not know the name Katherine Stone. However, for many women who have suffered from PPD or a related illness, she is a well-known and inspirational figure. After experiencing and recovering from PPD, Katherine realized this issue needed more attention. In 2004, she began a blog. On July 13, 2004, in a post titled And So it Begins, Katherine concludes, “I hope Postpartum Progress helps in some small way.” I keep shaking my head and rereading the last five words in that post. “Helps in some small way.” When Katherine typed those words in 2004, I don’t think she had any idea that this “weblog” would be a catalyst for change and a spark that ignited action. I don’t think she knew it would serve as the lifesaver in dark turbulent seas for so many women. My descent into postpartum depression, anxiety and OCD also began in 2011, but I didn’t come across the blog or the organization until I was well-recovered from PPD. Over a year after my recovery, I began looking for answers, information and understanding about the horrific experience I had had postpartum. And when I first found the blog, I dismissed it. I barely even understood what a blog was; it sounded too informal and trendy. (Yes, I was living under a social media rock!) I was looking for something scholarly to answer my questions. (My questions by the way were, “WT$ happened to me after my son was born? I’m okay now, but was it PPD, postpartum psychosis, or just new mom jitters?” Even though I worked with a therapist and took medication for Generalized Anxiety Disorder after my son’s birth, I was never diagnosed with a specific postpartum related illness.) I didn’t look at the blog seriously because it was not endorsed by or related to a university. Yet at the same time, I was skeptical of the blog because it looked too professional. 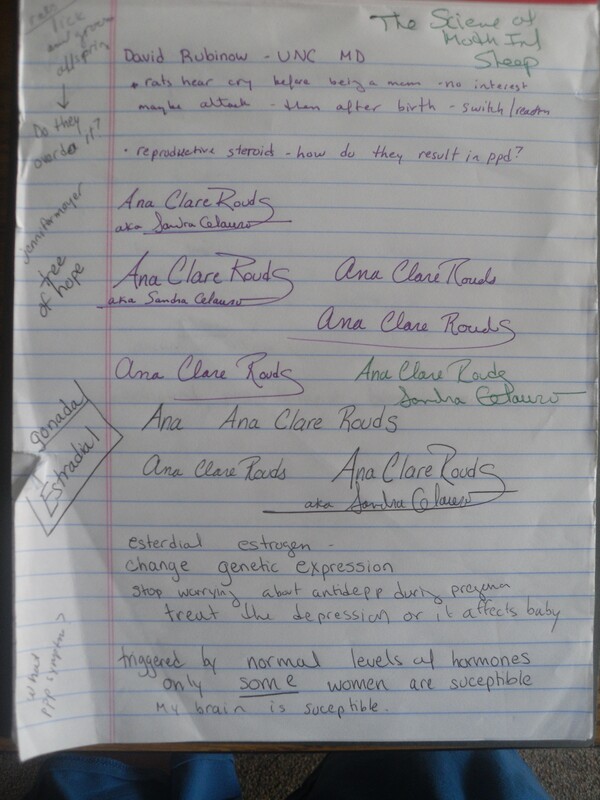 I thought blogs were like journals, but Postpartum Progress didn’t look like a journal. On top of that, there was a picture of a classy looking executive-type woman on the blog. She had postpartum depression? I thought in disbelief. There’s no way that lady had what I had. I must have had something else. I had something worse. Katherine Stone is an ordinary person. This is an important realization because Katherine Stone’s work is not about Katherine Stone. Her work is about women and families. As she stated way back in July 2004, her work is collaborative. Her work initiated a movement on which many other women have embarked. Together, we are informing families, doctors, community members and politicians. Together, we are making PROGRESS. Together, we are a battalion of ordinary women taking part in an extraordinary movement. *Coming up soon…when I can find more hours in the day…”I’m really okay. In fact, I’m Thriving!” This post will discuss what I learned about myself during Kate Kripke’s session. She arrived uninvited. She arrived without warning. I didn’t know her but she took the place of another woman I had known quite well. A woman who had been intelligent, friendly, and competent. In fact, the woman I knew was the kind of person people turned to for advice and could depend on. She was a take charge lady, but she did so with grace and humor. People often told her, “You have it so together.” But when the uninvited stranger arrived, the woman I knew disappeared. The stranger might have at first seemed quiet and pensive, but I quickly realized she was rattled with fears that she couldn’t verbalize. She berated her every action, questioned her every thought. She shuffled through her home in a daze of self-doubt and scathing criticism. She couldn’t make a single decision without agonizing over it. Choosing between cereal or toast for breakfast was an exhausting task, yet such everyday choices were substantially easier than decisions about the baby. She was completely convinced that she was not only a horrible mother, but also the most incompetent woman who had ever lived. She obsessed about the baby’s sleep, the baby’s latch, the baby’s red bottom, the baby’s weight gain and the baby’s future, which she was most certainly ruining with her every action. At night she was awake for hours, her mind torturing her as she choked on hollow cries, wondering what happened to the other woman. Where was that confident woman? Where was the woman who had been able to find peace in the most stressful situations? The woman who had experienced such joy in her daily activities? Almost as quickly as she had disappeared, the confident woman returned and helped the broken woman gather herself and rebuild. And I know this because I was both the broken woman and the healer. The uninvited stranger and the stronger figure. The journey took time, deep reflection, rest and treatment, but in the end, I emerged stronger and wiser. A better version of me. A second baby is due in 3 weeks. I have spent the past 3 years repairing and preparing, fortifying self and strategizing to keep the uninvited stranger away. She is still not welcome, but despite all my efforts, she might return. If she does arrive, I will know how to deal with her. I will work with and send her on her way. I will draw from the strength I have always had and the new strength I have found. And it will be okay. 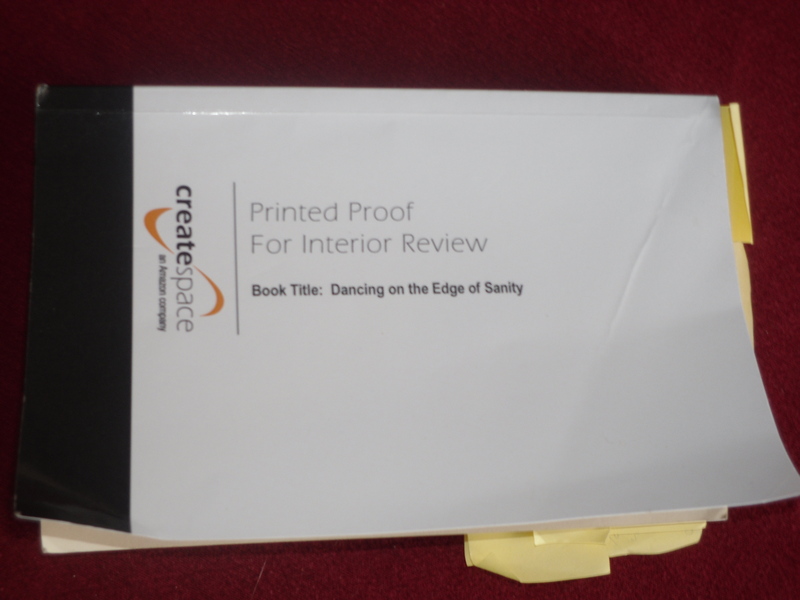 Read more about Ana Clare Rouds’ postpartum journey in Dancing on the Edge of Sanity, and purchase it through https://www.createspace.com/3817492. As stated on their website, Postpartum Support International (PSI) is an organization “dedicated to helping women suffering from perinatal mood and anxiety disorders, including postpartum depression, the most common complication of childbirth. We also work to educate family, friends and healthcare providers so that moms and moms-to-be can get the support they need and recover.” I recently attended the PSI annual conference in Chapel Hill, North Carolina. I learned a great deal at this conference and met some amazing people. Since the conference I have been thinking about the next steps I need to take in my pursuit to raise awareness about perinatal mood disorders. To be honest, I’m quite overwhelmed with all the information I have and hope to share. I am only one person and this interest is a side project I try to fit into my life which already includes working full-time in education, teaching fitness classes, raising a spirited three-year old with my husband and trying to promote a self-published book (which is related to this work but also different). I must remind myself that I need to take one step at a time. One of my first steps is to tell you some more details about this inspiring conference. Shortly after arriving in Chapel Hill, I had an opportunity to take a tour of the Perinatal Psychiatry Inpatient Unit. According to the UNC School of Medicine website, the unit provides “private, state of the art, specialty care for women suffering from severe perinatal psychiatric issues.” Hospital staff met us at the hospital and took us to this small unit. It was clean, bright and Pec Indman’s beautiful underwater photography was hanging on the walls. 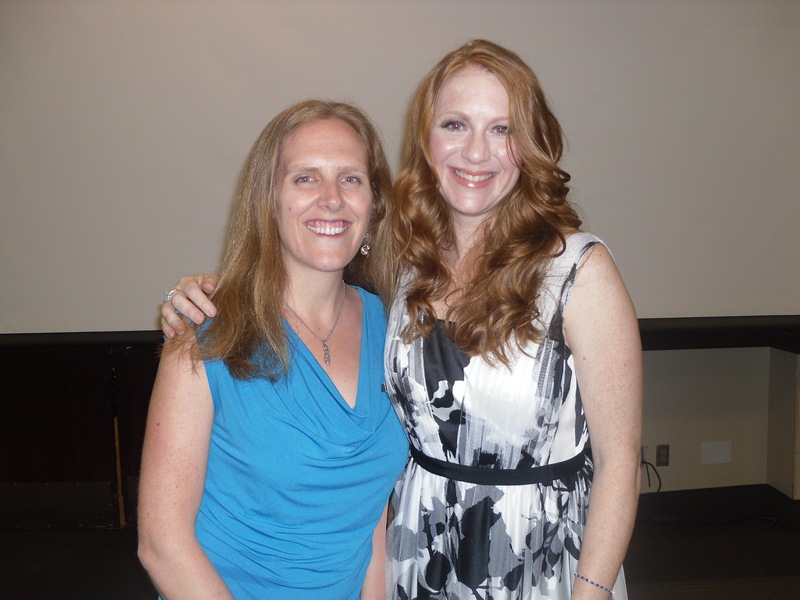 (Pec Indman is a known therapist and author in this field, and she happened to be on this tour at the same time as me. I was a little star struck – this happened continually throughout the conference…) As the nurses showed us the unit and discussed the program, they spoke with compassion and knowledge. I wanted to thank them for treating their patients with dignity and understanding, but I stood quietly and nodded. I couldn’t help but recall my experience at a general psychiatric hospital when I was merely 11 days postpartum. When I had been in the hospital, I had felt completely isolated, misunderstood and trapped in a place more like a prison than a therapeutic retreat. The memory brought tears to my eyes and I willed myself to keep my emotions under control as the nurses discussed the balance between the importance of the mother’s sleep and the need for mothers to spend time with their babies. I was feeling emotional not only because the tour reminded me of my abyssal and unnecessary separation from my son, but also because I know how sorely we need more perinatal psychiatric programs; they simply don’t exist in the United States. On a positive note, I know some of the healthcare professionals who toured the unit and attended this conference are working towards developing more programs like the program at UNC. Although I found David Rubinow’s presentation informative, as I already mentioned, I certainly felt lost when he began discussing estradiol, and gonadal something or other. It was during that time that I began practicing my signature for my upcoming book signing. I have half a page of notes and half a page of signatures, using both print and cursive. When Rubinow’s presentation was over, I headed to the PSI book store for my very first book signing. I was giddy, excited and proud, but tried to remain somewhat composed for this event. The friendly PSI volunteers brought me a chair and had me sit right in front of my book. I look forward to sharing more about the PSI 2014 Conference in a future post. 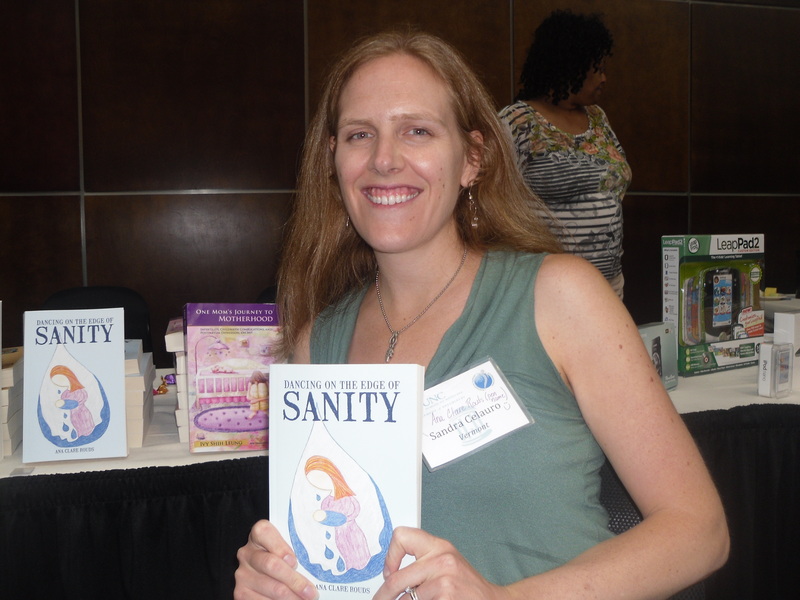 I will include information about Karen Kleiman’s new book and presentation, meeting Katherine Stone, feeling like a hot (and weepy mess) during a presentation about postpartum OCD, attending Samantha Meltzer-Brody’s presentation, and meeting some other great advocates, authors and experts in the field of maternal mental health. 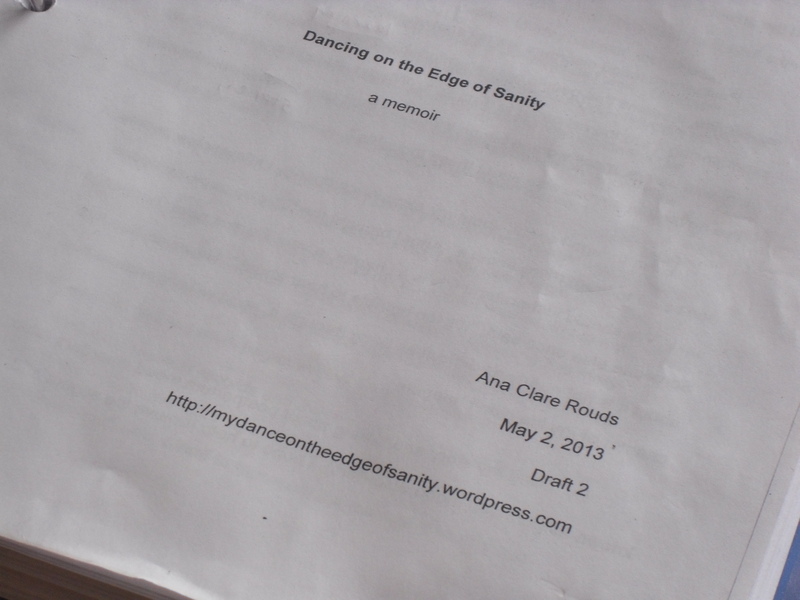 Dancing On the Edge of Sanity – a book about postpartum anxiety and OCD – available NOW! I’ve been waiting for many months to able to write the following sentence: Dancing On the Edge of Sanity, a memoir about my encounter with and recovery from postpartum depression, anxiety, and obsessive-compulsive disorder, is currently available for purchase. It can be purchased online from both Amazon and CreateSpace. Follow the links below. Writing this story has been a journey for me. It has been cathartic, rewarding, defeating, confusing and in the end, one of my proudest achievements. For two plus years I have been recalling details, rereading journals and medical records, and drafting my thoughts. I have revised and edited, removed and rewritten certain phrases, and scrutinized every word – all 89,922 of them! Most recently, I have delved into the world of marketing, only to realize that this is truly a foreign land to me. Nonetheless, I proudly announce the publication of Dancing On the Edge of Sanity, and while I cannot promise you a pleasant escape in this memoir, I can promise you truth, hope, and resilience. The story begins as I describe the fear and panic I felt when experiencing intrusive thoughts. Read that part right now – Dancing on the Edge. I then go back in time nine days to my labor in Interesting Sensations. Some reviewers have called this chapter hilarious. (Find more reviews under Advance Praise.) I describe the onset of my anxiety and intrusive thoughts in Welcome Home, Mama and Scary Thoughts. Kirkus Review noted that the most compelling parts of the story take place in Lockup. After reading this final excerpt, you’ll see that I wasn’t in a great place at that point. But my situation improved; you’ll just need to buy the book to understand the whole story! 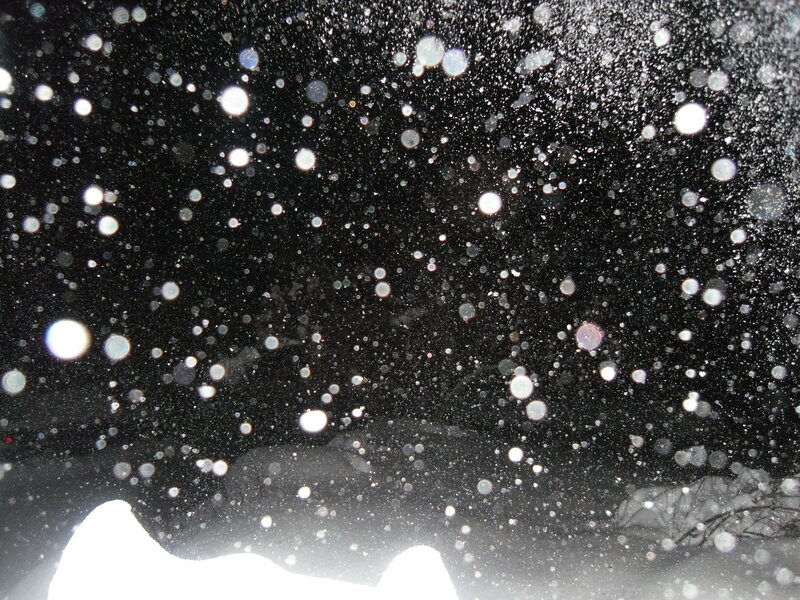 The snow is piling up. It began early this morning and has steadily fallen since then. My husband estimates that we’ve accumulated a foot and a half so far, and the weather forecast promises another five to nine inches through the night. This snow storm has given me a gift: time to write. The storm has also given me melancholy memories. Three years ago, a March storm much like this one descended on Vermont. My husband, the avid and passionate skier, welcomes these storms. And while I find a big snowfall beautiful and slightly romantic, I’ve never liked snow in March. Winter has had her turn, but by March, it is time for her to begin her departure. Yet this year, winter’s putting up a strong fight, much like she did in March 2011. That year, a huge storm was predicted to arrive on Monday, March 7. I’d heard about this storm a week before it arrived. My father was particularly concerned. I was 9 months pregnant. My due date was Friday, March 4, and the hospital in which I planned to deliver was about an hour away. I remember having a conversation with my father about the potential problem I could run into. I dismissed my father’s worry, and it was just as well that I did because the weather didn’t interfere with my labor or the drive to the hospital. Our son arrived on a clear and sunny day, March 3, 2011, one day ahead of schedule. But that much anticipated storm still had quite a relationship with my transition to motherhood. The day before it arrived, I began to feel a strong and ominous fear. I can’t even really explain what the fear was about and that is unlike me for I am often quite capable of describing my varied emotions and dissecting my most complicated thoughts. But these feeling did not have intellectual thoughts backing them up. It was pure feeling, and it was heavy, foreboding and unsettling. I was up for most of the night before the storm, nursing and soothing a fussy three-day old infant. I peered out the window each hour. Is it snowing yet? Has the big storm begun? At some point that night, I went outside with the dogs. It was so still, so silent. I knew the storm was about to begin and I knew winter was about to perform an impressive closing act. When I woke up the next morning, I looked outside and everything was covered in the thick white blanket a heavy storm brings. Fine crystals fell down all day, fast and hard. As each inch of snow smothered the earth, I felt like the woman I was before giving birth was being buried. I felt trapped, convinced I’d never leave my house again, never smell fresh grass, never escape the mental monsters assaulting my mind. My son was merely four days old, but I knew I was experiencing something more serious than the baby blues. So in the midst of the current storm, I think about where I was, both physically and mentally, three years ago. I think about March 12, 13 and 14 especially because those were the three most difficult days of my life. And while these memories do bring tears to my eyes, I am also in awe of the journey I’ve made in these three years. Today, it snowed and it snowed and it snowed. And it’s still snowing. But I don’t feel buried. I feel gratitude. What if the baby cries forever? What if I can’t pull myself together? What if I never again sleep? What if the scary thoughts begin to creep? What if I’m losing my mind? What if I can’t ever again be kind? What if I’m nursing all wrong? What if the latch isn’t strong? What if I’m a bad mother? What if my son wants another? What if people see me cry? What if sadness makes me die? What if I go into the woods and hide? What if my fears are still there, right by my side? What if I am broken beyond repair? What if the world just doesn’t care? What if I have the worst case of PPD? What if no one is capable of treating me? What if I never sing a song? What if my body doesn’t grow strong? What if I lose my love for dance? What if I never give pleasure another chance? 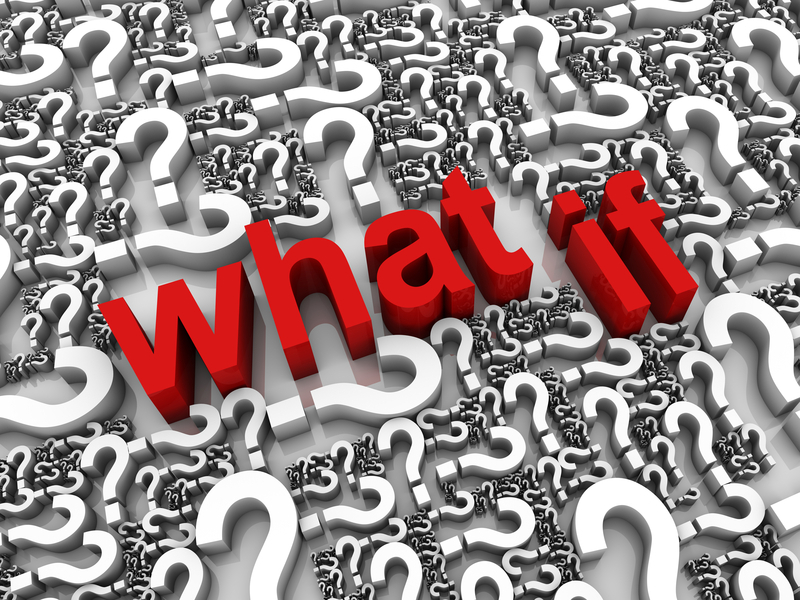 What if the what ifs never leave? Trust that they will. Just believe. It’s interesting that I just happened to come across this poem with its hopeful ending the other day. The what ifs and the inner critic have recently taken up more space in my mind than I would like them to and I’ve had to pay attention to this. One of my worries has been related to my memoir. It actually makes sense that I would have a lot of thoughts on this topic. After all, I did devote hours and hours of my time to this project and publishing a book is a big deal. On top of this, the subject matter is highly personal and revealing. Who wouldn’t feel some trepidation? Nonetheless, in the back of my mind, the what ifs lurk. What if my story scares women? What if women don’t ask for help after reading about my experience? What if my story is too triggering for women? What if my story offends others? What if no one buys it? What if the reviews are awful? What if I can’t handle the negative reviews and am overcome by anxiety and depression? What if people judge me? What if I am ridiculed? What if my story helps someone? What if it reaches someone who has no one? What if my story inspires another mother? What if she shares it with another? What if the story makes others more aware? What if it leads to improvement in maternal mental health care? What if it helps someone feel less alone? What if it makes people laugh, not groan? 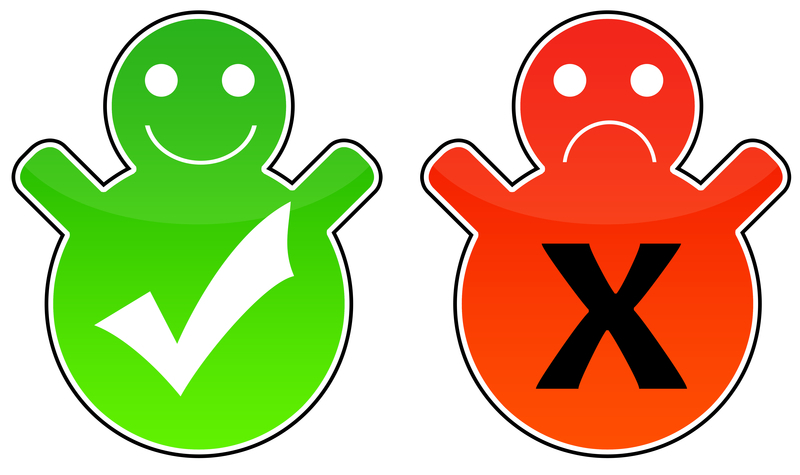 What if I receive favorable reviews? What if I’m in the local news? I will stop before I get carried away, but the power of the positive spin around is quite strong. For today instead of wondering what could go wrong, I ask myself, what could go right? I’ve always liked endings and new beginnings. They give us an opportunity to take a moment, look back and think about what we’ve done. At the same time, I like to look forward, set some reasonable goals and contemplate the journey ahead. Hunched over my notebook as I write here in my son’s playroom while he pushes cars and trains across the floor, over my legs and up my back, I can’t help but recognize that 2013 was a year of multitasking. It had to be for there was so much to do! My son, who turned two in March, is probably like most toddlers. He’s very active. On top of being a mom, I am a teacher, an education instruction leader, a fitness instructor, and I am working on publishing a memoir. Like so many other parents of young children, I am quite busy. There were many nights this past year that ended with me plopping my head on my pillow, wondering how I managed to keep all my balls up in the air at the same time. It’s still a mystery to me. The manuscript! One of many drafts I poured over in the spring of 2013. In any case, on this glorious first day of the new year, I would like to share the progress I’ve made with my ever so important project. In March 2013, I wrote the last sentence in my memoir. (Spoiler Alert! “John turned out to be fine, just like his mom.”) I spent the next month revising and editing the 300 plus pages that tell the story of not only my encounter with postpartum anxiety, but also my struggle to find appropriate treatment and my determination-fueled recovery. It came to a point in which I was deleting a word one day only to add it back the next day. It was time to put the memoir in someone else’s hands, so I sent the book to a professional copy editor. The editing process continued on for the next few months. Meanwhile, I worked with a design team to create the book’s interior layout and exterior design. In the fall of 2013, the first proof arrived. My book was bound, formatted and looked like a real book! The design team created a few cover images for me, but I just didn’t like them. I made this drawing for the cover myself. I had hoped to have the memoir available for public consumption in 2013, but that didn’t happen. There are so many small steps and processes that must come together in order to publish a book. I’m learning more each day about this process and taking my time so that I do it well. Currently, the book is complete; I don’t plan to revise or edit anymore. I’m waiting to approve my author’s copy with its exterior design. Once I’ve approved that copy, I plan to send FREE digital or hard copies to anyone who is interested in writing a review or an endorsement. (Contact me at anac.rouds@yahoo.com if you want more information.) I plan to add these reviews to the book which means I’ll have to go through the author’s proof and approval stage again after I’ve made the additions. organize a local Zumbathon to raise awareness of PPD and PPA. speak publicly about PPD and PPA. meet and get to know more Warrior moms. 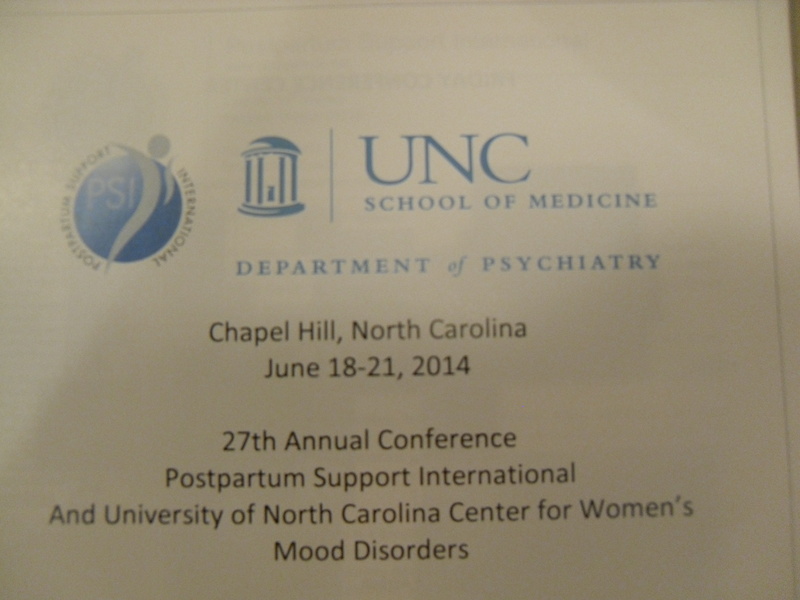 take a trip to Chapel Hill, NC to attend the annual Postpartum Support International conference. bring my experience in Atlanta back to VT so I can continue to raise awareness on a local level. Thank you for your readership and support. Best wishes for you in the new year! While giving my two-year old son a bath the other night, I decided to tell him that I wrote a book. I’m not sure why I decided to tell this to him, but it seemed like interesting conversation to make with a two-year old. “Did I tell you that I wrote a book?” I asked as I handed him a wash cloth. “With ABCs?” my son asked. “Yes,” I said. “A real book with lots of ABCs. And guess what? It’s all about you,” I continued, even though I’d lost my son’s attention to a blue octopus that squirted water. Sitting back and watching my son enjoy his bath, I stopped talking, but I kept thinking. Because I have written a memoir about my experience and continue to work as an advocate to improve maternal mental health, it is inevitable that my son will learn about my experience. I knew a day would eventually arrive when I would tell my son more about the book and the postpartum depression and anxiety I experienced after his birth. I thought about the confusing message this discussion could convey and I could hear myself explaining my love for him despite the sadness and anxiety that had engulfed me when he was merely three days old. Even though I was in a dark cloudy fog for a bit, I still loved holding you in my arms. Even though having postpartum anxiety and feeling so misunderstood was the worst experience in my life, I wouldn’t trade you in just to avoid the experience. 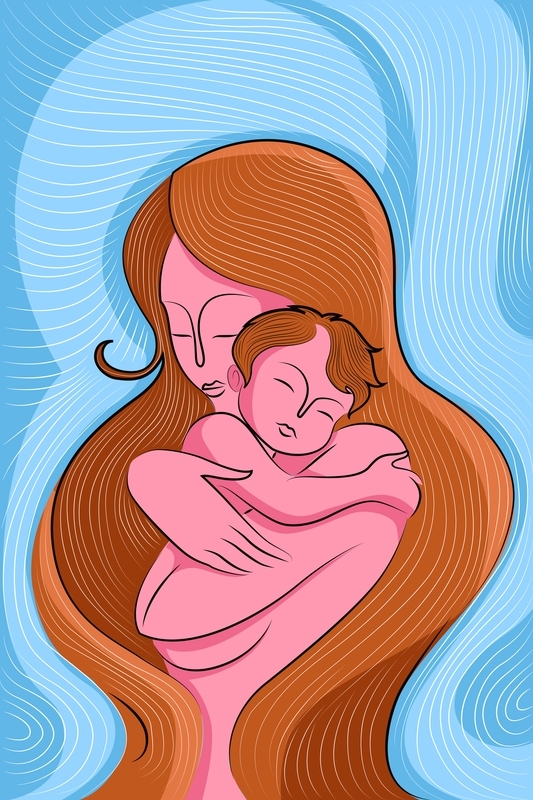 Some people worry that postpartum depression and other related illnesses can disrupt the crucial mother-baby bonding that occurs during this formative stage. But fortunately, PPD and PPA did not interfere with the special relationship I have and cherish with my son. And despite all the initial sadness and fear I felt due to my illness, my son’s presence fills me with joy, amusement and love on a daily basis. I feel this bond’s strength when we exchange whispered I love you‘s at bedtime. When we read books and you finish some of the sentences for me. When we build block castles and you congratulate me, saying, “Mommy, you did a good job!” When we run outside, arms stretched out in airplane position. When we bop our heads from side to side while listening to music on the radio. When we dance together, you imitating my every move when you’re not spinning in circles. When we nuzzle nose to nose and I can feel your soft skin pressed against mine. When our eyes lock for a moment and a secret smile washes across your face. When we sing our favorite songs and you correct me if I sing the wrong words, sighing “Silly mommy, that’s not the right way.” When we share a snack and you clumsily yet forcefully attempt to stick my share in my mouth. When we cuddle, tickle and take turns giving each other raspberries. When we’re laughing and your little boy giggle erupts into a resonating and gurgling belly laugh. When we walk hand in hand, knowing the bond between the little boy hand and the big mommy hand is stronger than mountains. As I sat on my bathroom floor, helping my son with his bath, I recalled something a friend had recently said to me in reference to my postpartum depression and anxiety. She had said, “It’s so great to hear how you talk about your son. You enjoy him so much despite everything that happened in the beginning.” When my friend made that comment, I felt the need to defend myself, explain that my postpartum depression and anxiety symptoms didn’t involve a lack of interest in my baby or a desire to be away from him. But as I thought about the comment a second time, I realized I could look at my friend’s comment in another way. She wasn’t implying that I had done anything wrong to my son by having postpartum depression and anxiety; she was simply pointing out how well I had bonded with my son, how strong our relationship was and how evident it was that our household cultivated love. Some people make the most ridiculous comments. When I was struggling with postpartum depression, anxiety and obsessive-compulsive disorder, some of the people I spoke to said things to me that were really unhelpful – so unhelpful that even though two plus years have passed, I haven’t forgotten these stupid, insensitive or misinformed comments. In most cases, these people probably meant well, but their words still upset me. On the other hand, some people said things that brought me great comfort and provided solace while I was in the midst of such angst. If you know someone who is struggling with postpartum depression or anxiety, listen before you speak. And when you do speak, consider the helpful comments above. Months before I ever heard the term intrusive thoughts or read Dropping the Baby and Other Scary Thoughts: Breaking the Cycle of Unwanted Thoughts in Motherhood written by Karen Kleiman and Amy Wenzel, I didn’t know what to make of the horrifying images that had crept into my mind shortly after the birth of my son in March 2011. In a way, the uninvited images of my son in distressing and fatal situations reminded me of the disturbing recollections I had had after seeing violent or graphic films. For example, even though I tried to shield my eyes during the bloodiest scenes in Saving Private Ryan, images from the film flashed and whirled about in my mind a few days after I had watched the movie. To some extent, the scary thoughts I had regarding my son were similar to those nightmarish flashbacks of Saving Private Ryan. Similar in that they were fleeting yet quite disturbing and I wanted them to stop. However, the scary thoughts involving my son were unlike the scenes from the movie in that they seemingly popped up out of no where and they caused me much more distress. When I imagined gruesome war scenes after viewing Saving Private Ryan, I knew why such images were in my mind. But when I imagined my son atop a snow drift, submerged in the bathtub and trapped behind flames in our pellet stove, I couldn’t fathom from where these images were coming. I tried to fight the mental assault. I tried to force my mind to stop showing me such haunting images. I squeezed my eyelids shut as tightly as possible, I shook my head back and forth, and I even tried to expel the negative thoughts using deep cleansing breaths. But the harder I tried to push the unwelcomed visions away, the faster they fought back. I felt as if I had lost control of my mind because I knew I had no intention, desire or will to hurt my son, yet I couldn’t make the thoughts stop. Fortunately, the thoughts did eventually go away. Unfortunately, things got worse before they got better, but the thoughts did stop and they happened to stop abruptly. I think sleep, medication and more sleep deserve most of the credit for that. However, even though these horrific thoughts left my mind as quickly as they had entered, I spent over a year not knowing there was a term for the experience I had had. I knew I had postpartum anxiety and depression, and I saw a number of mental health and medical professionals in my recovery, but no one could explain those thoughts to me. In fact, one professional informed me that I had had postpartum psychosis. She told me the images I saw of my son were hallucinations and delusions. She was wrong. And though I am not a doctor in this field, I know there is a big difference between intrusive thoughts and hallucinations. Likewise, there is a huge difference between an individual worrying that she is going crazy and a delusional individual who has lost touch with reality. In both situations, the individual is in need of help, but the type of help required is quite different. I didn’t realize what I now know until October 2012 when I picked up Women’s Moods: What Every Woman Must Know About Hormones, the Brain, and Emotional Health, by Deborah Sichel and Jean Watson Driscoll. The book that had been on my shelf since March 2011 when I had read it cover to cover…except for one section. I had previously skipped the section about postpartum obsessive-compulsive disorder. I didn’t think I had postpartum OCD because I figured that would have involved excessive hand washing and other stereotypical rituals. I was wrong. While this information is reassuring after the fact, it would have been wonderful if someone had explained this to me when I was having intrusive thoughts. It also would have been beneficial to know that many people have scary thoughts. They become problematic when the person having them perceives them as highly distressing. The images I recalled from Saving Private Ryan were scary thoughts, but they didn’t cause the same level of stress as the scary thoughts I had regarding my son. Therefore, they weren’t problematic. On the other hand, the thoughts I had regarding my son increased my anxiety, led me to believe I was going insane and sent me into a state of panic. Alarmed by my thoughts and high level of distress, I sought help at the local ER. They were just as alarmed as I was and sent me to a secluded room where an armed police officer watched over me. Kleiman and Wenzel write about this type of overreaction in their book. “Healthcare practitioners…may be equally equally agitated by the high degree of distress associated with scary thoughts. This can inadvertently lead to rapid escalation of anxiety if the response is an overreaction or action that reinforces the mother’s anxiety.” Hopefully, as we raise awareness about intrusive thoughts and postpartum OCD, fewer women will encounter the desperation and lack of understanding I felt after having intrusive thoughts. What can you do when you can’t find support for postpartum depression and anxiety in your local community? Don’t give up. There is support and help available. 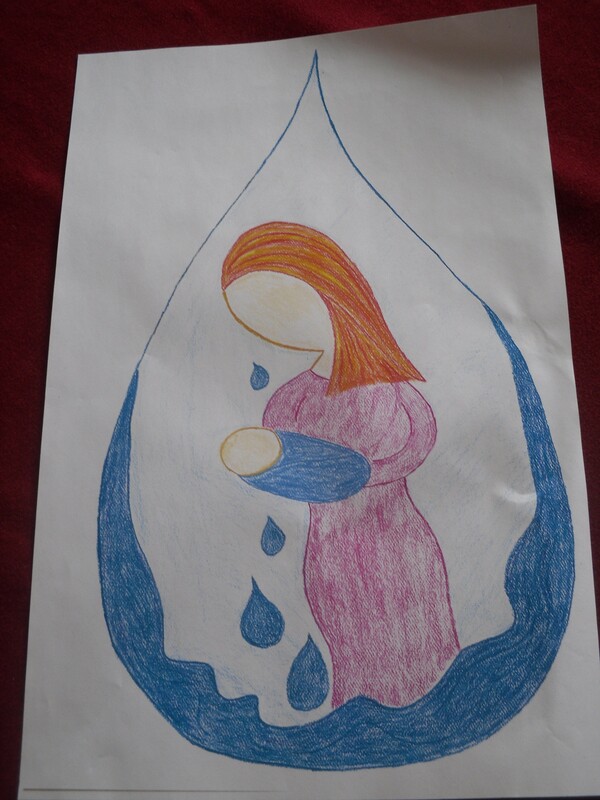 It is humbling for some women to realize they have postpartum depression and need help. And it is courageous to ask for that help. After taking those two steps, some women might be lucky enough to find face-to-face support from professionals right in or near their community. But other women might find it quite frustrating to realize there is a lack of support in their local community. In some areas, it can be challenging to find a therapist who fully understands postpartum depression and other related disorders. Likewise, many women will be unable to find a support group. However, there are many blogs, a Twitter chat group, and telephone conferences that can be beneficial. Read these blogs. You won’t feel so alone. One of the hardest parts about having postpartum depression, anxiety and the mysterious postpartum OCD was that doctors, therapists, the ER’s crisis counselor, and my midwife didn’t fully understand my condition, especially the intrusive thoughts that accompanied the postpartum OCD. (There will be more information about postpartum OCD in the next post.) I suppose these local professionals were just as terrified and confused as I was because of their lack of experience and education. Their overreactions and misdiagnoses were additional challenges I needed to overcome in my recovery. I so wish I had known about the free service Postpartum Support International provides when I was really struggling, but I did participate in a teleconference when I finally learned about them. I had an opportunity to discuss my challenges with a professional in the field and it was informative, comforting and great to talk to someone who knew so much about the many aspects of a perinatal mood disorder. While these teleconferences should not replace face-to-face therapy, they are a wonderful compliment to a treatment plan. Every Wednesday they hold a teleconference with an expert in the field of maternal mental health. To learn more about the teleconferences, follow this link. Please don’t feel discouraged by the lack of support for perinatal mood disorders in your local community. And if you already have strong supports locally, these supports will provide additional help. Check out a tele/virtual support today!